First of all, thanks to Lilyn (Sci-Fi & Scary) and Clare Favara for buddy reading Boy’s Life with me. Boy’s Life is my favorite book of all time, and I absolutely loved hearing their thoughts over the course of the book. This was my third time to read Boy’s Life, but it had been at least 10 years since my last read so there was plenty for me to discover as well. One of the things I have loved most about Robert McCammon releasing The Listener this year has been seeing people discover McCammon for the very first time. 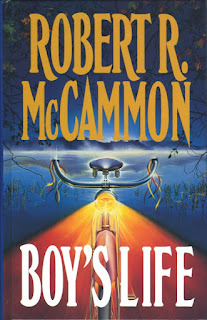 Readers naturally flock to Boy’s Life after discovering McCammon, and it has been a joy watching people discover a new favorite author, a new favorite book, and in some cases their favorite book of all time. 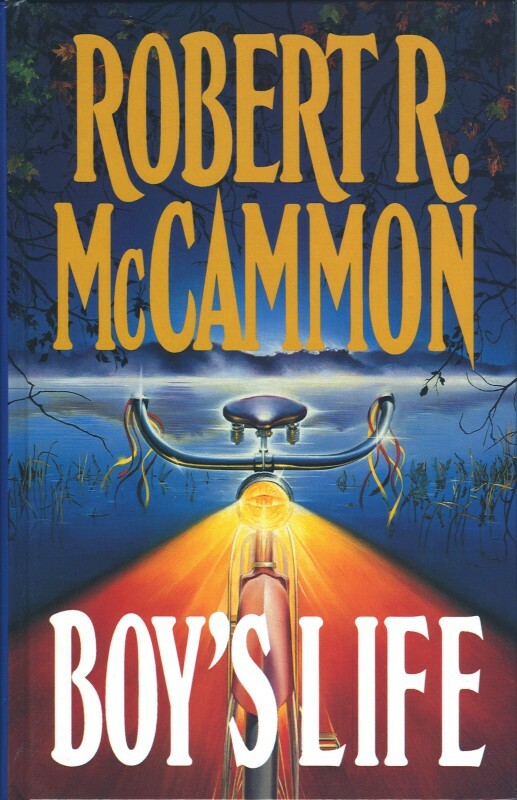 Boy’s Life is the coming of age story of 11 year old Cory Mackenson. 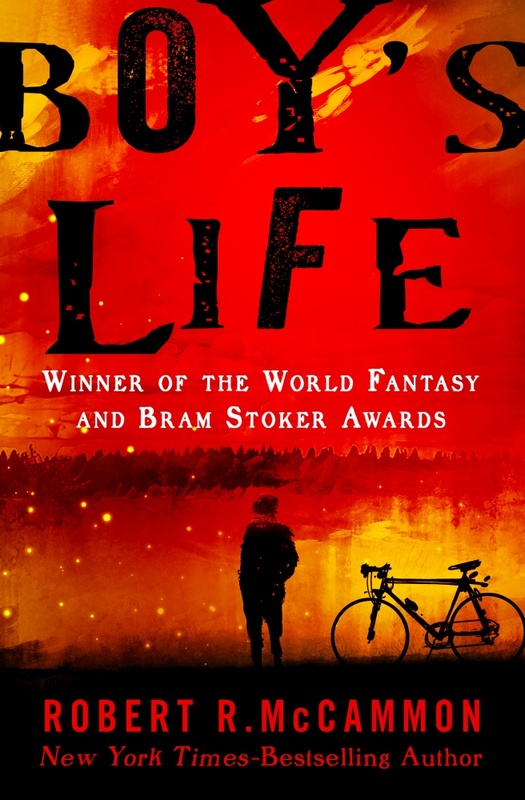 Boy’s Life is often labeled as a horror novel, but the supernatural elements in Boy’s Life are a fraction of a much larger book. If any label is appropriate for Boy’s Life, it’s simply “American Literature”. I'm not one to write in my books, but I think the next time I read Boy’s Life, I'm going to get a copy that I can start highlighting and writing in. There are so many beautiful quotes to take from this book, and each time I have read it, I have gotten something different out of it. I had forgotten the main character Cory was telling the story of Boy’s Life just before his fortieth birthday. I’m a little over a month away from my fortieth, and this was the perfect time in my life to be reading this book again. During my first two reads of Boy’s Life, I really connected to the main character Cory and his coming-of-age story. This read, however, I found myself really connecting to Cory's dad. One of the best things about Boy’s Life is Cory's parents. In most books, the parents are unavailable, uninvolved in a neglectful way, or if they are around, they are just horrible parents. That's not what the reader gets in Boy’s Life. The reader is actually treated to a realistic and loving family relationship. Cory's parents are flawed as any parents are, but they are also available and loving parents. This is unique to most of the books that I’ve read, and one of the many reasons I love Boy’s Life. 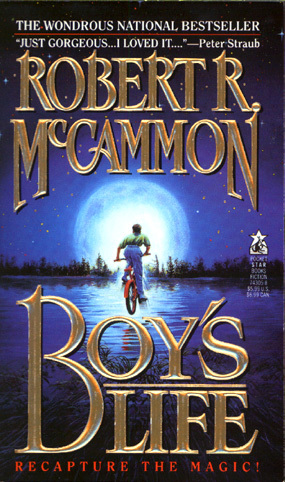 If I had to pick one favorite thing about Boy’s Life, it would be the way McCammon captured the magic of childhood. We are born with whirlwinds, forest fires, and comets inside us. We are born able to sing to birds and read the clouds and see our destiny in grains of sand. Everything in Boy’s Life is so well done. Even the setting of Zephyr and the vehicles have their own character arcs. I hope when I'm in the nursing home and nearing my final days, I'm surrounded by people who love me and know me well enough to play me the audio of Boy’s Life or to sit at my bedside and read it to me out loud. If I have to leave this world in the middle of a book, let it be Boy’s Life. The easiest question for me to answer is "What is your favorite book of all time?" I say, "Boy's Life. It's my favorite book now and forever. I can't imagine another book coming along that will ever top it." I'm an Alabama boy, too, so you can imagine how big of an impact it had on me. I love your last bullet about the nursing home. I read that and said out loud, "Amen to that." Yes! It is such an EASY answer. It pains me to see other people struggle with that question. It just means they haven't connected with a book the way a lot of us have connected with Boy's Life. "Now and forever" is exactly how I feel. Wow I love some of those quotes- especially the one about childhood. So true! We're so filled with wonder at that age?! And sometimes we lose it growing older, or we catch a glimpse of it and are like- oh yeah, that's what it was like to be young. Your life gets hectic and it's easy to forget. At least for me that's how I kinda think of it. I've never heard of this book but now I may have to get it! Yes, Boy's Life is very much about that wonder that we lose as we grow older. This is going to be a horrible confession. I LOVED Swan Song but have yet to read anything else of his! Ack! I know. I'm a terrible person. I keep meaning to. After reading this maybe I'll pick up A Boy's Life next! Lovely review. Happy early birthday! Wow! Very high praise. You’ve definitely intrigued me. I have never heard of this one. You've got me so excited to read this one! It might just be my first from this author. Oh, Barb. I do hope you read it at some point! Why was the rich guy always naked? Love this book (and everything I've read by McCammon) so much! I definitely need to do a reread as well! I'm always slow about getting reviews written after I read a book. I still haven't done reviews for books I read back in 2010 which is pretty bad! I would do much, much better if I wrote every review right after finishing the book, but that's just not something I'm able to do very often. Your review made me go all bleary and teary eyed. Such beautiful words for such a beautifully written book. You've reminded me that I need to reread it very soon. This book makes me cry all the time just thinking about it. I was a complete MESS reading it again. I hope you give it a read. I think you would really love it, Lark. It was a fantastic book to buddy read with y'all :) He's an awesome author, and this book is amazing. Great post! I love what you said about the setting and the vehicles having their own arcs. I hadn't thought of it that way, but it's spot-on. I'm going to add The Listener to my reading list. Thanks! I really need a highlight copy for that exact reason. I hope you get to check out The Listener, too, at some point. This sounds amazing - I have to own up that I've not heard of it before but I will certainly go and check it out now.